If you did a Backdoor Roth, which involves making a non-deductible contribution to a Traditional IRA and then converting from the Traditional IRA to a Roth IRA, you need to report both the contribution and the conversion in the tax software. For more information on Backdoor Roth, see Backdoor Roth: A Complete How-To. You report on the tax return your contribution to a Traditional IRA *for* that year and your converting to Roth *during* that year. For example when you are doing your tax return for year X, you report the contribution you made *for* year X, whether you actually did it during year X or between January 1 and April 15 of the following year. You also report your converting to Roth *during* year X, whether the contribution was made for year X, the year before, or any previous years. Therefore a contribution made during the following year for year X goes on the tax return for year X. A conversion done during year Y after you made a contribution for year X goes on the tax return for year Y. You do yourself a big favor and avoid a lot of confusion by doing your contribution for the current year and finish your conversion in the same year. Don’t wait until the following year to contribute for the previous year. Contribute for year X in year X and convert it during year X. Contribute for year Y in year Y and convert it during year Y. This way everything is clean and neat. If you are already off by one year, catch up. Contribute for both the previous year and the current year, then convert the sum during the same year. See Make Backdoor Roth Easy On Your Tax Return. You contributed $5,500 to a traditional IRA in 2018 for 2018. Your income is too high to claim a deduction for the contribution. By the time you converted it to Roth IRA, also in 2018, the value grew to $5,560. You have no other traditional, SEP, or SIMPLE IRA after you converted your traditional IRA to Roth. If your scenario is different, you will have to make some adjustments from the screens shown here. We will compare the results after we enter the backdoor Roth. The tax software works on income items first. Even though the conversion happened after the contribution, we enter the conversion first. When you convert from Traditional IRA to Roth, you will receive a 1099-R form. Complete this section only if you converted *during* the year for which you are doing the tax return. If you only converted during the following year and you don’t have a 1099-R yet, skip this section and wait until the next year. In our example, we assume by the time you converted, the money in the Traditional IRA had grown from $5,500 to $5,560. As you work through the interview, you will eventually come to the point to enter the 1099-R. Select Yes, you this type of income. Import the 1099-R if you’d like. I’m choosing to type it myself. Pay attention to the code in Box 7 and the checkboxes. 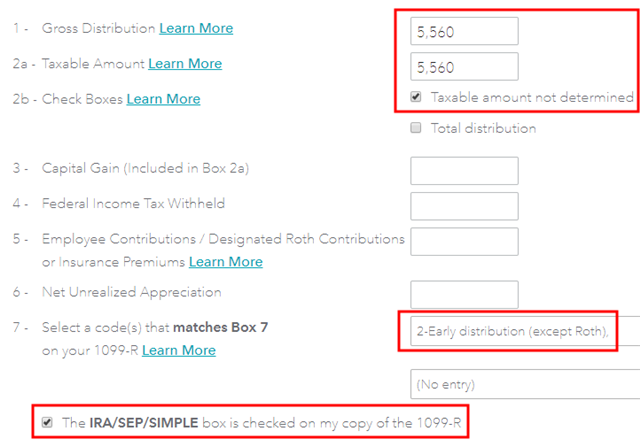 My 1099-R had Box 2b checked, code 02 in Box 7 and the IRA/SEP/SIMPLE box also checked. Your refund in progress drops a lot. We went from $2,590 down to $1,256. Don’t panic. It’s normal and temporary. You get a summary of your 1099-R’s. Add another if you have more than one. Not impacted by a disaster. Choose Yes if this isn’t the first year of your doing this. TurboTax carries over your basis from the previous year. Enter the values at the end of the year. We don’t have anything after we converted it all. That’s it so far on the income side. Continue with other income items. The refund in progress is still temporarily depressed. Don’t worry. It will change. Now we enter the non-deductible contribution to a Traditional IRA *for* the year we are doing the tax return. Complete this part whether you contributed before December 31 or you did it or are planning to do it in the following year between January 1 and April 15. If your contribution during the year in question was for the year before, make sure you entered it on the previous tax return. If not, fix your previous return first. Check the box for Traditional IRA. Double-confirm you contributed to a Traditional IRA. It was not a repayment of a retirement distribution. Enter the contribution amount. If you contributed in the following year before April 15 for the previous year, enter the contribution in both boxes. This is a critical question. Answer “no.” You converted the IRA, not recharacterized or switched. Same question we saw before. If you made non-deductible contribution for previous years, answer Yes; otherwise answer No. Total basis through the previous year. If you started fresh, enter zero. If you contributed non-deductible for previous years (regardless when), enter the number on line 14 of your Form 8606 from last year. If we converted it all, we don’t have anything left at the end of the year. Income too high, we know. That’s why we did the backdoor Roth. If you are using the TurboTax Free Edition, you must upgrade to Deluxe or above at this point. There’s no way to continue. FreeTaxUSA is able to do it for free. After going through all these, would you like to see how you are taxed on the Backdoor Roth? Look at the left hand side. Expand Tax Tools, and then click on Tools. Click on View Tax Summary. Look at the left hand side again. Click on Preview my 1040. Scroll down to 1040 Postcard, Line 4. The line for IRA distributions shows $5,560. That’s the amount you converted to Roth. The line below shows $60 as the taxable amount. That’s the earning between the time you contributed to your Traditional IRA and the time you converted it to Roth. TurboTax will also generate a Form 8606 when you file, which you will be able to see after you pay the TurboTax fee. Tah-Dah! You got money into a Roth IRA through the backdoor when you aren’t eligible for contributing to it directly. That’s why it’s called a Backdoor Roth. You will pay tax on a small amount of earnings if you waited between contributions and conversion. That’s negligible relative to the benefit of having tax-free growth on your contributions for many years. If you find this article helpful and you would like to contribute something to the tip jar, I thank you for your generosity. If you followed the steps and you are not getting the expected results, here are a few things to check. It’s best to follow the steps fresh in one pass. If you already went back and forth with different answers before you found this guide, some of your previous answers may be stuck somewhere you no longer see. You can delete them and start over. Click on Tools under Tax Tools in the left pane. Click on Delete a form. 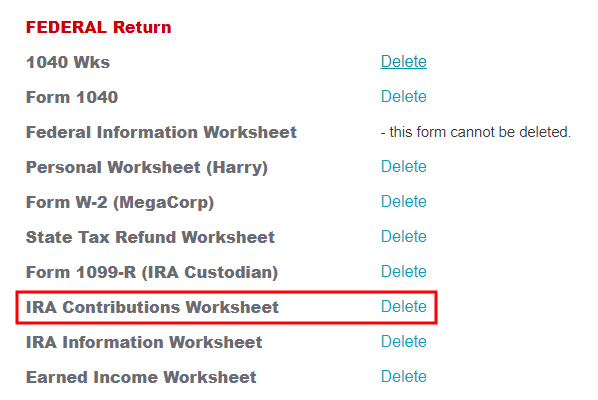 Delete the IRA Contributions Worksheet and then confirm you’d like to delete that worksheet. Go back to the IRA contributions part by clicking on Federal in the left pane, and then Deductions & Credits on top. Make sure the Retirement plan box in Box 13 of the W-2 you entered into the software matches your actual W-2. If you are married and both of you have a W-2, make sure your entries for both W-2’s match the actual forms you received. When you are not covered by a retirement plan at work, such as a 401k or 403b plan, your Traditional IRA contribution may be deductible, which also makes your Roth conversion taxable. If you are married, make sure you don’t have the 1099-R and IRA contribution mixed up between yourself and your spouse. If you inadvertently entered two 1099-Rs issued to you instead of one for you and one for your spouse, the second 1099-R to you will not match up with a Traditional IRA contribution made by your spouse. If you entered a 1099-R for both yourself and your spouse but you only entered one Traditional IRA contribution, you will be taxed on one 1099-R. Thank you so much! That will be super helpful. Could you also / alternatively show how to do this with the Tax Act online software? So glad I found your site just in time! @Andy @RR – As you can imagine, it takes a lot of time to put the screenshots together. I don’t think I have the energy do them all over again in a different software. The general steps are the same. There are two sides to this: a contribution and a distribution. Typically the software will have you enter the distribution on the income side before you enter the contribution on the expense side. In real life, you did the contribution first and the distribution second. It’s easier if you jump ahead and enter the contribution first, as I did here. This way when it comes to the distribution, i.e. conversion to Roth, the software will already know you made a non-deductible contribution and therefore the bulk of the distribution/conversion isn’t taxable. If you do it the way the software has it, you will see your tax goes up when you enter the 1099-R. Don’t worry. That’s because you haven’t entered the contribution yet. When you do, the tax will come down again. Thanks for the heads up; I was able to figure it out since the softwares are relatively similar. @TFB – What if the conversion takes place after Dec. 31st? Is it reported the following tax year? Does the year of contribution matter? Tax software has told me to file form 8606 for non-deductible contributions and include a statement explaning the recharacterizations. So far so good, I think. 4. Convert non-deductible traditional IRA’s to Roth before April 15th, 2012. Does that impact my 2011 tax return? If you convert in 2012 you report the conversion on 2012 tax return. @kaz – This post deals with how to report it after the fact. The proper way to do it when you have existing IRAs is in the link in the first sentence of this post. Just double checking… In 2010 I converted all my traditional IRA to Roth IRA and paid all the taxes in 2010. [trust me, there was a reason for paying them in 2010]. Before the conversion in 2010 my basis was $30K, but I just noticed on the 2010 Form 8606, line 14 has basis as $0. I assume that has something to do with the conversion being completed by Dec 31, 2010. Okay…..now for 2011, I did the backdoor Roth, and completed the conversion by Dc 31, 2011. Am I correct in saying that my basis is $0, just as your example? Turbo Tax is less than helpful with reporting a backdoor Roth. Their online help is full of incorrect advice from “super-users” who seem to be under the impression the online version doesn’t allow you to do this. So thanks for the walkthrough as it helped me enormously. However, I still can’t quite get this to work in the online TurboTax as my situation is a little different from what you outline here. I doubled up a backdoor Roth in 2011. I converted over a $5,000 Trad IRA I took out for the 2010 tax year as well as converting another $5,000 Trad IRA I took out for 2011. I filled out the 8606 form giving me a $5000 basis for 2010. I have a 1099-R form for 2011 showing the distribution of $10,000 which I converted in full to a Roth IRA. However, when I follow the steps outlined here but substituting $10,000 for the conversion and $5,000 for the basis Turbo Tax still says I owe tax on $5,000. Any idea how to get around this or do I have to head over to HR Block to file my taxes this year? There are several online sites that outline this doubling strategy as within the rules. I also called the IRS for confirmation and they gave it their approval. Thanks for such detailed comments. The only difference in my situation is that all the money I contributed to my Traditional IRA for 2011 was done in 2012. So for the specific question that was asked “tell us how much of that was contributed between Jan 1, 2012 and April 17, 2012” – my answer is all $5000. So now, my question is this – since this conversion actually happened in 2012 (it actuallly happened today – 3/12), should I report it in my 2011 return. And I didn’t receive any tax forms BTW and I was told that I will not receive them till January 2013. Thanks for taking the time and providing all the screenshots. John – I just tried this in TurboTax Online. In the contribution part, I entered $5,000 for the 2011 contribution (as shown), $5,000 instead of $0 as the total basis as of 12/31/2010. In the 1099-R for conversion part, I entered $10,005 as the converted amount, again $5,000 in that “Let’s Find Your IRA Basis” screen for the total basis as of 12/31/2010. Then the 1040 preview shows $10,005 on line 15a, $5 on line 15b. No problem. What do you see on line 15b? Raghu – You only complete the contribution part for 2011. Wait until next year to complete the conversion part when you have the 1099-R.
TFB, thank you for answering Raghu’s question since I am in the same situation. I am confused about waiting till next year to report conversion. I want to report the conversion as if it happened in 2011, since I want to convert $5,000 more for 2012. How can I do this on TurboTax? gunan01 – If you converted in 2012, you can’t report the conversion as if it happened in 2011 — it didn’t happen in 2011. You wait until 2013 to report it on the 2012 tax return. It doesn’t stop you from converting more for 2012 though. When you do your 2012 return next year, you can report $5,000 contribution and $10,000 in conversion. The two amounts don’t have to match. TFB- thank you. You answered my question beautifully. Thanks for the help again! It turns out I was doing it correctly after all. What I wasn’t taking into account was my wife wasn’t earing income for 2011 and this was leading to the $5000 amount showing up as taxable income on line 15(b). Elsewhere I was being given a tax deduction of $5000 (line 31 I think) as I was contributing to her Trad IRA with my own after tax money because she had no income of her own. Basically these two lines cancel each other out. It means I’m still left with no tax owed after essentially doing the backdoor Roth conversion four times in one year (two people; each for two years). After a bit of persistance I got through to an excellent Turbo Tax support person who walked me through the whole process and confirmed everything was correct. She’s taken note of a few of the more tricky parts of entering the information and said that they will do their best to make it clearer in their support pages. Thank you for the Article! I was very helpful in reporting this year. I think i may have reported my “backdoor Roth” incorrectly in 2010. Looks like I clicked “converted” trad IRA to a Roth which is not the case. In doing so, TT is automatically pulling in $2,500 of the contribution to be taxed in 2011 and then will pull $2500 in 2012(Form 8606 line 20a & b). I can delete the $2,500 number that Turbo Tax is automatically pulling from my 2010 return. But I don’t want to file this year’s taxes and be audited because of the way it was entered in 2010. Anyone have any idea if it is an issue on deleting the $2,500 that is automatically generated from my 2010 forms? Again, I did the back door Roth in 2010, but based on the information TT is pulling, it looks like I entered the information wrong last year. Please ignore my previous question(post #23). I found out I need to amend the 2010 8606 forms. Thank you for the post showing how to fill out the paper version of the 8606 form. Thanks a ton, this was exactly the information I needed! TFB – You are a king among men. Thank you for answering Raghu’s question. You helped me end a very long fight with TurboTax. Thank you! I was going to give up on TurboTax and do the forms by hand after all the problems I had with this. TT owes you money for providing this information! This may need to be updated for TurboTax 2012. When get to the part where it asked about non-deductible contributions and cost basis, it specifically calls out whether I had non-deductible contributions for 2011 and before, not taking into account 2012. 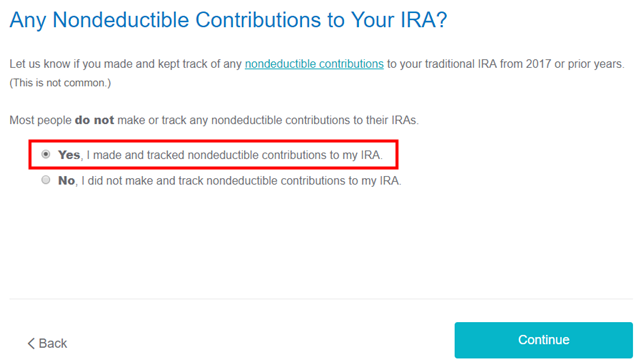 Now I’m confused how I designate the IRA contribution as non-deductible (even though it figured out I couldn’t have the deduction due to my income anyways). to “Sam” from earlier today. The above works in 2012 also with some slight changes. When it asks about non-deductible contributions prior to 2011, not taking into account 2012, say “no”. Check the Preview of your tax forms. It still works it out correctly, if you input your 2012 contribution and conversion also. In my case, I made a $5k non-deductible and converted it the next day. I had 3k of existing deductible contributions in the same ira, that was also converted. I put in the 5k contribution from this year, that it verified was non-deductible, and put in the 8k from the 1099-r, and when i looked at line 15 it showed… 3k taxable. (8k distribution – 5k of non-deductible)=3k of taxable. they could definitely make that easier and clearer to do. Okay, so then why does Turbotax show that $10k that was backdoored for 2012 as taxable? So in 2011 I contributed to a non-ded IRA, $5k. In Jan 2012, I backdoored it to a Roth (we’re over the income limits). in Jan 2013, I contributed to a non-ded IRA, $5k, and then backdoored it within a week. I received a 1099R for 2012’ss withdrawal, and inputted all the current info. I think I might need to amend 2011’s taxes . . . . any idea? I have to go back and look, but I think I indicated I backdoored it in 2011 when it wasn’t done until 2012. I thought, because we have until 4/15 to get it done, it was fine that way? I think there is an error in the IRS Pub 590, page 44 – the Worksheet 1-5. The note on the bottom aims to adjust for Roth conversions, but it does not work as intended. I found this out by running through TurboTax – I contributed $5000 to a Traditional in 2011, converted that ($5053) in 2012, made another $5000 contribution to the Traditional in 2012, and then converted that this year. I got a 1099-R for $5053. I would expect to see a $53 taxable amount on line 15 of the 1040, but instead it comes up with $168, based on the value of my Traditional on 12/31/12 (by running through that worksheet). There is something wrong with the instructions.. I don’t know how to report it though. Does anyone have a guide for reporting a backdoor Roth using TaxAct.com? I received two 1099-R’s from Fidelity and the copy on TaxAct about how to balance it out is INCREDIBLY confusing and unclear. One mistake makes it look like you’re doubling a tax payment to the government. Dave – The worksheet instructions are not wrong. It wasn’t $53 because you waited until 2012 to convert it and you made a fresh $5,000 contribution in 2012 and left it there as of 12/31/2012. The good news is having paid tax on $168 instead of $53, when you convert the 2nd $5,000 the taxable income would be $115 less. This article deals with contributing and converting in the same year and having a zero balance in the traditional IRA at the end of the year. Harry – Really? I figured I would only owe tax on $53. Why would I be subject to pay tax on a 2012 contribution in a Traditional that I did nothing with? Isn’t that only taxed once I withdraw it? Dave – The pro-rata rule treats all traditional IRAs as one pot, regardless when you made the contribution. The earnings are spread proportionately. Paying more now means paying less later. Not a big deal if you will convert your 2012 contribution again in 2013. TFB, Thanks for this helpful article. And sorry if somebody has asked the same question to you above. I contributed $5k (post tax money) to a new Trad IRA account in 2011. I did not have any Trad IRA contributions or account before this. While I was preparing to file taxes for 2011 in Feb 2012, I realized that i am not eligible for a Trad IRA deduction because of my income. I called Wells Fargo and told them to move my trad IRA contribution to a newly opened Roth IRA on Feb 2012. I thought I have taken care of this… I also told my tax accountant of this. Now I received 1099-R from my bank about the distribution and entire amount i.e., $5764 (with earnings) is taxable. How should I handle? My tax accountant who filed my taxes for 2011 did not file 8606. I am going to file now and thanks for your other article which explains about filing 8606. Thanks for the great info. I’ve done this correctly for the tax year 2011. Now I’m attempting to do the same for 2012 tax year and Turbo Tax seems to be messing it up. I am using Turbo Tax Deluxe w/ State. Anyone else in the same boat at me? In short, Form 8606 Part 2 lines 16, 17 and 18 are not populated correctly!! @SamO – I think I’m in the same boat. It looks like TurboTax is not subtracting my non-deductible basis from the amount I converted from Traditional to Roth (as you said, lines 16-18). It looked like at least 33 other people were having the same problem, judging by the TT question board. Since we’ve identified the issue, is there a way to edit tax forms directly using TurboTax? The turbo tax web based version handles this fine. If you edit the distribution, you’ll be able to say that the distribution was converted to a ROTH. It than asks you the value of the account on a particular day, and figures it out. I added 5k non-deductible, to an IRA with 3k (deductible) already in it. converted the whole thing to ROTH, and TT figured out I owed tax on the 3k piece without problem. Rob – Sorry I don’t have time to do screenshots. The idea is the same. You enter a contribution. Then you enter a conversion. The $99 remaining in the traditional IRA at the end of the year just means you will pay tax on say $98 with your $5,000 conversion and carry over $98 basis in the $99. When you do it again for 2013, you convert the $99 together with your new contribution and only pay tax on $1. I am having a very difficult time with TurboTax 2012 with trying to correctly put in the info re a backdoor Roth IRA. My wife (high income) converted all her IRA’a to Roth IRA’s in 2010 and will pay the tax in 2011-12. In early 2012, she contributed $6K(over 50yo) to a traditional IRA for tax yr 2011 and 3 weeks later recharacterized that $6k into one of her Roth IRA accounts. Then in November 2012, she made another $6K contribution (both were non deductible) for tax yr 2012 to the traditional IRA account and recharacterized the entire amount one month later to one of her Roth IRA accounts. Hence, her Vanguard statement (1099r) shows $12000.26 (.26 income) in box one, gross distribution. Bottom line, Turbo Tax keeps saying that she has an excess contribution (because of her high income) and that she has to pay a penalty ($350+/-) each yr until the excess contrib. is removed. I have tried everything I can think to remedy this situation, but come up empty. Thanks for any help you might provide (you have done a terrific job w/ the website). Lars – This article was written last year with screenshot taken from TurboTax 2011. The fourth screenshot shows that her contribution made in early 2012 for 2011 should have been entered into TurboTax 2011. Check 2011 return to make sure Form 8606 shows $6k basis. She would not enter that $6k again in TurboTax 2012. The only contribution she would enter is the $6k contributed in November 2012. When it comes to conversion, the $12,000.16 from Vanguard is correct. Under the “Let’s Find Your IRA Basis” screen, she would enter $6k. The $6k basis from 2011 plus $6k new contribution for 2012 will offset the $12k distribution from Vanguard. Lars, my financial advisor told me to use “contribution” instead of “conversion” for the Roth IRA. That, plus the screen shots in this article, helped me finish my return without the tax penalty. Thank you so much Harry! I was getting all confused and couldn’t figure out a way to do this from TTs help pages or community . This is a topic that comes up quite frequently in financial talk shows and of course they cant say how it is done in TT or TaxCut or TaxAct or any DIY software. Clearly TT falls short in this. I’m sorry… I read this article many times and followed the instructions to my best ability, using TT 2012. I’m still getting taxed on my $6000 backdoor conversion made in 2012. I did not make any contributions for 2012. Just converting the 2011 contributions made before April 2012 to a ROTH IRA. Please advise. Thanks. Followup… just want to add to my post that if I answered ” … rolled over all of this money to another traditional IRA or other retirement account”, it removed the taxes. But I answered, “… converted all of this money to a Roth IRA account” and the additional taxes calculated stayed. Also, it told me “Good News: You Don’t Owe Extra Tax on This Money” yet it taxed me on the $6000. I’ve used this feature for years. This is the first year this is an issue! Just to follow up on my comment from March 16 – I ended up throwing in the towel on TT and using TaxAct at the recommendation of someone on the Bogleheads forum. Not ideal, but I was too impatient to wait for TT. TA was a little clumsy in parts, but it was only $20 and, most importantly, dealt with the backdoor Roth correctly. Harry – I figured how to get around to my issue for TT 2012 or perhaps I’m doing it correctly! I have spent 4 hours on this problem with TT. After I entered the 1099-R, it asked if I made any non-ded contributions. I said yes and tracked non-ded contributions. Then, I’m asked to enter the Cost Basis as of Dec, 31, 2011. I entered $6000 because I bought with non-ded of $6000 in 2011 and converted to ROTH in 2012. Therefore, on Dec 31, 2011, I still had $6000 in my Trad IRA. Then, the taxes were reduced to zero. I was following your instructions for TT 2011, but your question was also the cost basis as of Dec. 31, 2011, which then, would be zero because your contributions were for 2010 which you converted in 2011. TT must have changed the screens to ask for the cost basis prior (TT 2012) to conversion vs. after (TT 2011). Thank you so much for your site and your reader’s comments to help me through this. Christine – On these screenshots from TurboTax 2011, under the Let’s Find Your IRA Basis screen, it asked about the basis as of 12/31/2010. You did it right by entering $$ there because the money you contributed for the previous year is counted as the basis as of the end of the previous year even though you actually contributed in the following year. Everybody will really do themselves a big favor by contributing to the IRA for the current year in the current year. Doing it retroactively just causes a lot of these confusions. Yes, the only way this works (sort of) is to put in the same amount or more as the cost basis. TT actually asks for the cost basis for 2011 and before–so if you have been using the backdoor method for a few years, the cost basis should be higher. Strangely, TT used to have a screen telling you it was keeping track of your nondeductible IRA contributions but that screen is nowhere to be found in the 2012 version. I still haven’t figured out how to prevent a TT penalty for having too high an income for a Roth. Sadly, the 2012 TT version is rather different from the screen shots above. IT’S A MIRACLE!! I FIGURED IT OUT!! OMG–after many hours I’ve figured out how TT lists a backdoor roth without penalties for having a high income for 2012! In “Wages & Income”>>Retirement Plans & SS>>IRA, 401K, etc., put in your 1099-R info. The next screen will say “Good News! You don’t owe extra tax on this money.” This refers to your having a “2” in box 7 of the 1099-R. It means that you don’t pay a penalty for this distribution from the traditional IRA. In later screens, say that you “converted” all the money to a Roth IRA and left it in the Roth IRA. When it asks if you made any nondeductible contributions to your IRA, you must say “Yes, I made and tracked nondeductible contributions to my IRA.” Calculate your total cost basis at the end of 2011 (How much non-deductible contributions have you made in TOTAL until Dec 31, 2011?). Attach the explanation that says that;s how much it was. Value of your IRA as of Dec 2012, is zero. When you get to the summary page on income, this Roth IRA conversion will not show up under IRA distributions–taxable. NOT DONE YET> Next, In Deductions & Credits>>Retirement & Investments>>Traditional & Roth IRA contributions, write that you contributed to a Traditional IRA and you contributed $5000. NEXT IS THE QUESTION THAT CAN EASILY THROW YOU OFF: “Tell us how much you transferred.” Amount switched from Traditional IRA to Roth IRA is ZERO–This screen refers to a “recharacterization” NOT a “conversion.” The backdoor Roth is a conversion. After it tells you your income is too high to deduct the IRA, the screen about the penalty won’t come up!! Thank you for this Chaka, this was immensely helpful. I still had a significant issue that had to be resolved, though. TT had kept my basis at $0 for the past several years. When I tried to correct it and put in my correct basis, it turned the entire basis into a huge deduction on my return (as an investment expense or something). I had to keep the basis at zero for things to work correctly. Not sure if this was something specific to my situation or what. Exactly! See today’s post Traditional and Roth IRA: Recharacterize vs Convert. Thank you!!!!! Thank you!!!! Thank you!!!! Thanks for the information! I used it last year and it worked out great. I have a different situation this year. I made my IRA contribution in April(2013) to be applied to 2012 then did the “back door” Roth conversion. 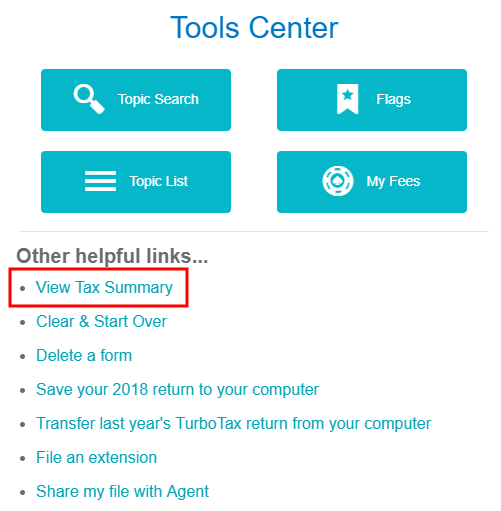 Using Turbo Tax, I reported my traditional IRA contribution info as you described above, but I am unable to enter the 1099-R information because I have been told the paper work/filing was in 2013, so I will receive it in the first quarter of 2014. Will this cause me any issue completing the “Backdoor Roth” next year for my 2012 contribution? I am thinking If I contribute another $5k to be applied to 2013, when I receive my 1099-R in 2014, it will show $10K(2012 and 2013 contributions). Any information will help here. Just want to be sure I file correctly. David – There won’t be any issues. Just do it next year when you have the 1099-R. Under that “Let’s Find Your IRA Basis” screen, you enter the contribution you made in 2013 for 2012. If you use TurboTax again next year, it should remember and auto-populate it for you. If it doesn’t, just enter it yourself. Harry, I have been a reader for many years, and have thoroughly read all the recent posts on recharacterizing and converting, but I am stumped. My husband prematurely contributed to a non-deductible TIRA in early 2012 (thinking that our MAGI would disqualify us from a Roth IRA contribution). It turns out, that we were just under the income limit for Roth and we can both contribute the maximum amount ($5K) for 2012. I went ahead and contributed $5K to my Roth IRA. Now, the question is, do I recharacterize his non-deductible TIRA? We are filing an extension, so I have until October to recharacterize it. Or would I be better off converting it (it seems weird to do a conversion or “back-door Roth” when you qualify to just go through the front door)? I know the difference between the two, but I’m not sure if it matters in this case? Does it? Also, his TIRA has actually decreased in value from $5K to ~$4500. Does that change the scenario? TIA! Heather – Thank you for being a long-time reader. When the IRA has gains, it’s better to recharacterzie, because the gains would go to Roth untaxed. In his case it has losses. If he doesn’t have any other traditional IRA, including SEP or SIMPLE, he can also convert. Either way he won’t pay any taxes when the IRA has losses. Recharacterzie would be easier because he doesn’t have to keep track of basis. Will you be updating this blog for the 2013 tax year? I wish discovered your website prior to filing my tax return in April 2013. I made $10,000 to be applied to 2012 backdoor Roth IRA conversion for my wife and me in March 2013. After reading the posts, I realized that I paid taxes for the $10,000 by mistake. Could you please let me know what I can do to get a refund? See where you did wrong on your tax return. Correct it with an amended return. After three hours of struggling with TurboTax, your blog has just made my day! I like TurboTax, but this is one area where they clearly dropped the ball. I knew exactly what I needed to do, but couldn’t find out a way to do it (complicated by making contributions to two different calendar years at the same time). Thanks a million for the info. Your instructions worked great for federal – but this being my first year doing a backdoor roth conversion (2012 and 2013)- should I be getting hit for state taxes on the full conversion amount? MA is my state and turbotax has the normal 5.3%. From the sounds of things this is correct? Background – no other IRA’s (just 401k) and 5000 last year, 5500 this year, both converted immediately after deposit – but 1099-R’s are both for this year as the contribution/conversion happened in Jan last year. I did the same – $5000 last year and $5500 this year. Nothing else was changed. The above instructions helped tremendously with federalreturns. However, my state reurns increased after the $5500 conversion entered – $250 more than last year. I live in PA. Can anyone explain why state reurn increased so much? No that doesn’t sound right. Sometimes the running meter in TurboTax isn’t very accurate. Make sure you run the state return all the way to the end. Most states use the federal AGI as the starting point. When the conversion isn’t in the federal AGI, it won’t be in the state return either. I just looked at both MA and PA. You will be asked additional questions in the state return to determine the taxable amount for state. When you answer those questions, the taxable amount will come down. So just wait until you complete the state part. I enter 10500 in there and as expected it balances out, but it’s a little confusing.. Does that sound about right? Yes that sounds about right. My situation is a little different. I made non deductible IRA contributions for both 2012 and 2013 and during 2013, and converted them both (at diferent times) during 2013 to Roth. I have followed these suggestions, but I still end up with online turbotax reporting the 2012 converted non-deductible contribution as taxable income. @George – You should’ve done the first part of this last year for your contribution for 2012. Then you would have a non-zero basis as of December 31, 2012 in that “Let’s Find Your IRA Basis” screen. Harry: thanks for the comment. I did report the 2012 non-deductible contribution made in early 2013 on my 2012 return. But that doesn’t give me a non zero basis as of December 31, 2012. Are you suggesting I can trick Turbotax by reporting the December 31, 2012 basis to be in the amount of the 2012 nondeductible contribution made in 2013? @George – Take a look at the form 8606 for 2012. Your contribution for 2012 should be on line 1, and then eventually drop to line 14. That number on line 14 is the number you need for your basis as of Dec. 31, 2012. If you also used TurboTax last year, I don’t know why it didn’t put the number there for you automatically. Making it do what it should is not tricking it. If your 2012 form 8606 is filled out wrong, you should correct it. So it sounds like where TurboTax onlines asks for the basis in the traditional IRA as of December 31, 2012, they mean “your total basis in traditional IRAs for 2012 and earlier years” (the words on form 8086. Harry: thanks for the comments. TT is now getting the right answer. I converted for the 2012 tax year and the 2013 tax year. I just checked my 2012 8606 form and it shows $5000 on line 1, but shows zero on line 14. Is this correct? I had not Traditional IRA before 2012. I only opened it for full conversion purposes. @Fhickson – If you contributed in 2012 and converted in 2012, line 14 should be zero. George didn’t convert in 2012. However this is outrageous. Turbo Tax should handle this properly. Some of the questions are not even clear. They ask about an IRA tax basis but do not state if they mean the basis for all traditional, all Roth, or the basis for both. I’m not even confident in my return because of the backdoor Roth and may hire someone instead. Harry, I used this primer last year and it was a huge help. So, thanks for updating it for this year as this is my second time converting. Prior to these two conversions, I’ve never held a Traditional IRA. I just finished entering all of my information, but have a couple of questions. 1. Twice, we are asked if we “made or tracked nondeductible contributions to our IRA”. First I am not exactly sure what this means and why we select ‘Yes’ vs. ‘No’. But, by selecting ‘Yes’, we are asked for our basis as of December 31, 2012 and it seems to reference a Form 8606. I did the conversion for the first time last year for a full $5000.02 and then this year for $5500.01. I do not see on Form 8606 a line that says specifically ‘basis’, but a couple of lines with numbers on them from my Form 8606 filed last year that have the word ‘basis’ on the line both show zero. Can you help me understand this better? 2. More minor, my 1099-R also has the box for ‘Total Distribution” checked. Does this matter? It does affect the calculations in any way. @Fhickson – It’s basically asking you whether you filed a form 8606 before. ‘Yes’ is the right answer because you did. The basis number it’s looking for is the number on line 14. If yours is 0 then enter 0, as I showed in the screenshots. Some people contribute for the previous year and then convert. It’s not 0 for them. The ‘Total Distribution’ box doesn’t matter. Thanks Harry. I get it now, I think. Those who contributed in years past but are converting now will have a cost basis that is taxable on the gains and reimbursable to the Feds for the tax breaks they received in the past, unless they made non-deductible contributions. Sorry for posting twice, but I wasn’t sure the first post went through. This is awesome and very helpful! Thank you for taking the time to make this. I would have not done it correctly without you. WOW! Can’t thank you enough!! This was my first time doing a backdoor Roth and this was a spot-on updated guide. Thanks so much for your time…truly appreciated. Used this guide in 2013, and again plan to use it in 2014. Just checked today and was surprised to find updated screenshots for 2014. Thanks for keeping this updated!! Please tell me what your 1099-R looks like for your Roth IRA withdrawal. @Max – After the Your 1099-R Entries screen, your running meter goes up but you are not done yet. Continue answering the questions thrown at you. One of them will ask you about your total Roth contributions in all years. If that number is larger than your withdrawal, the meter will come back down. Instant feedback from that running meter isn’t always good. It causes unnecessary concerns. THanks Harry.. that’s what I did. I’m going to do it again, luckily I had all the forms so i knew much i contributed, withdraw, recharacterized., etc. First, BIG TIME fan of your blog. Second, this is the first year we’ve had a backdoor Roth situation. I initially contributed $1,300 to Roth Jan – March 2013, only to find out income level too high to contribute. I recharachterized contribution April 2013 to a Traditional IRA, and continued to make contributions to Traditional IRA through end of the year to reach full $5,500 for the tax year. 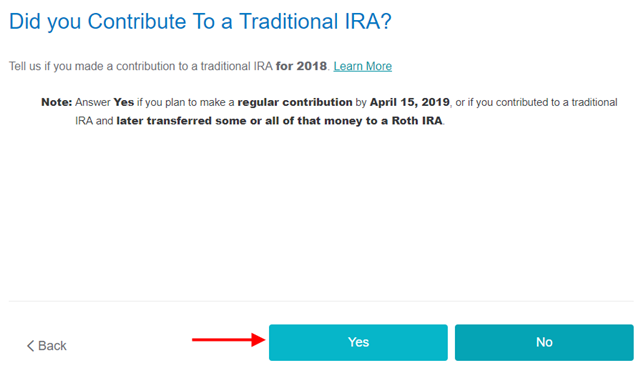 I have entered the IRA contributions first (4,200 to Traditional and 1,300 to Roth, recharchterize Roth to Traditional). My IRA deduction is confirmed at 0. I then enter 1099-R for $5,746 (box 1 and box 2a, both boxes in 2b checked, box 7 checked with code 2). However, TT is treating entire $5,746 as taxable. Thoughts or suggestions? It should only be $246 of taxable income. Which of your entries don’t match the screenshots here? Forget about the $1,300 recharacterized contribution for a moment (delete it if necessary). Get yours to say $1,546 taxable first. If you are married it asks you whose IRA it is. Is it possible you have the person mixed up between contribution and 1099-R? I am now amending my 2012 tax returns. I bought $10000 ($5000 for me and $5000 for my wife in March 2013) and this amount was double taxed due to the error make by TurboTax’ error. I followed your method to amend my 2012 return. Firstly, I entered contribution $10000 in total for me and my wife. When it comes to enter distribution, I remember you said I should report my distribution in 2013 (because I bought it in 3/2013). However, after entering $0 for 2012 distribution, I received a message from TurboTax, asking me why my wife recived a withdraw of an excess traditional IRA contribution from 2011 or a previous year. In fact, my wife made IRA rollover before and paid taxes in 2 divided years. If I enter $10000 for distribution in 2012 Roth conversion, the message did not appear. But it is not true because the distribution was truly made in 2013. What should I tell TurboTax? I desperately need your input on this matter. Your help will be greatly appreciated. @Tim – Did you do $10,000 in total as one entry or two entries, $5,000 for each person? Should be two entries. If you get the question similar to “Any Excess Contributions Before …” as shown in the article, say No. Hi Harry, I am still struggling with 2012 amended return. I contributed $5000 for each of us (me and my wife, 2 entries) for 2012 (in fact bought in 3/2013). I said no to “any excess contributions before. I want to report contribution in 2012 and distribution in 2013. Tried to enter “0” for 2012 distribution, this way line 14 showed $5000, but then I had problem stated in my above post. I also tried to leave distribution blank, but this way line 14 showed “0”. If line 14 shows “0”, then in 2013 I have “0” from previous IRA basis. So this amended tax is affecting my 2013 return. Harry, what should I do now? From your and others’ posts, line 14 should be 5000 in my 2012 8606 form instead of 0 since I contributed 5000 for 2012 but was done in 3/2013. Tim – If you print out a 2012 Form 8606 and fill it out by hand following the instructions, you will see how it should look like. In that “Tell Us How Much You Contributed” screen your contribution should go into the second box because you contributed in the following year before April 15. That will put a number in line 4. Your line 13 is still wrong if you didn’t take any distribution in 2012. Find where you originally entered it and delete it. If you can’t find it, contact TurboTax support. Thank you so much for your great instructions. I previously asked you a questions on 2013 PA state tax. Followed what you said, I answered a question. This significantly reduced the tax I have to pay. I would like to donate the money you help me saved to you as a token of my heartfelt appreciation. Please let me know how to do this. Since I did not distribute in 2012, should line 4 be blank? Tim – Instructions say if you didn’t take any distribution in 2012 skip directly from line 3 to line 14 . It’s OK to have blank in line 4. Many, many thanks for this posting. I very grateful. Two weeks ago in 2014 I made a traditional IRA contribution for 2013. The next week I converted it to a Roth again for 2013. I’m told by Fidelity that I won’t receive a 1099-R for this because I made my contribution after Dec 31, 2013. If this is the case, do I follow all the steps laid out above and ignore the 1099-R steps until 2014 or do I hold off all the steps until 2014? From your above comments, I assume that you have answered my question – leave distribution balnk instead of 0. I will try that and let you know the results. I am trying to report a backdoor Roth In TurboTax. One of the TurboTax screens is “Enter Prior Year Roth IRA Contributions.” This screen asks that I report net regular contributions prior to 2013. I have not kept track of my Roth IRA contributions, primarily because (1) I am way past the five-year period beginning with the first taxable year in which I made a Roth IRA contribution; and (2) I am way past the age of 59 1/2. What and how should I report in this screen? Just a normal backdoor Roth does not trigger that question. It sounds like either you withdrew from a Roth IRA or you entered the code in 1099-R box 7 wrong (or your IRA provider put a wrong code there). What’s the code in box 7 for your conversion? Did you withdraw from a Roth IRA? The code in Box 7 is 07 – Normal Distribution. My question is with the part where TT asks for the total value of ALL your traditional IRAs as of 12/31/2013. IN 2013, I opened a traditional IRA (account A) for the sole purpose of doing a $5,500 backdoor Roth conversion for the first time. I also open a second traditional IRA (account B) to receive rollover funds from 2 former employers’ 401Ks. At the end of the year, account A had zero and account B has a $200K balance. If I put $200K as the total year-end balance, TT taxes my $5,500 contribution. It works only if I put zero like you said, but is that being misleading or incorrect? Thank you. @YF – You didn’t do your backdoor Roth correctly. That’s why TurboTax is showing you must pay tax. You can’t enter zero when you have $200k. If you’d rather not pay the tax, you can fix it by recharacterizing your conversion and putting the money back to a Traditional IRA before April 15, 2014. Then you answer ‘Yes’ in the “Move Funds” screen and go from there. In 2014, follow the steps in the backdoor Roth article, “hide” your 200k rollover IRA, and start over. Or you can let it stand and just pay the tax. Really appreciate this blog, it’s been quite helpful, but don’t believe it has yet addressed the problem I have. My wife and I both contributed $5k each to an IRA in 2013 for 2012 tax year (first time), and converted both to a Roth IRA w/n one week of original contribution. Reported the $5k in last years tax return, with a Dec 31st 2012 basis of $5k each. We also contributed $5.5k each to an IRA in 2013 for 2013 tax year, and converted this to a Roth IRA also within one week of original contribution. Your comments for the screenshot “Any Excess IRA Contributions Before 2013,” would seem to indicate that I should answer YES and include the $5k my wife and I contributed for the 2012 tax year? It seems no matter how I go about this, the end result is that we’re told that we each made excess contributions of $5.5k to the Roth IRA that it would be subject to a 6% annual penalty until withdrawn. I was under the impression could use the backdoor Roth conversion each tax year without incurring penalties or excess contributions. Is that correct? Have I just made an error somewhere in reporting to Turbo Tax? Or should what my wife and I did truly result in a penalty for excess contributions? Your time is greatly appreciated! @Andy – The comments refer to the screenshot below, not the one above. Answer ‘No’ to that question. Harry, thank you so much for the great work you are doing. I used to have problems with reporting backdoor Roth conversions (and in some years even skipped altogether), but your blog helped me this year. I am only paying a small tax rather than showing the entire $5,000 contribution as taxable income. I followed all the steps from your blog and after I imported my Merill Lynch 1099-R, it was fine. Now, however, after I imported my wife’s 1099-R from Merill Lynch, it increased fed tax by almost $1,300. I checked and double-checked, all entries were entered correctly. Where is my mistake? it should work still? @Vic – Did you enter the contribution for her? You have to do it separately for each person. What does that “Your IRA Deduction Summary” screen say? Or maybe she actually qualifies for a deduction because she isn’t covered by an employer plan. When you enter her contribution, the tax is lowered. After the you import her 1099-R, the tax is raised back up, but you are just back to even. 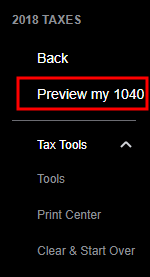 Do the “Preview My 1040” to find out what’s happening. Look at lines 15a, 15b, and 32. The tip jar is working now, and I made my controbution. Thank you for this excellent article. I am trying this for the first time this year, I use turbotax, and this worked great. I made my contribution last week (feb 2014) for the 2013 season.. so of course I won’t have the 1099 and be able to do the conversion until next year.. that’s fine. How does that affect the way I should do this for the 2014 tax year? Should I contribute and convert the 2014 money within this calendar year or wait until 2015 and do it the same way? I guess I’m asking if i’m limited to just $5500 a year or could i do 11K in a year. @Z – Your conversion triggers the 1099, not the other way around. You can convert in 2014. You just won’t have to report the conversion until you file the 2014 tax return in 2015. Same for your 2014 contribution. You can contribute in 2014 and convert in 2014. If you choose to do so, you report them in 2015. Thank you for the article! I filed my taxes this weekend via TurboTax, and followed your instructions to the letter. It worked great. I am having hard time to contribute to the tip jar. A message keeps saying “Please enter a valid combination of City, State, and ZIP code.” I have lived in this address for 8 years, and I just bought something online using the same credit card and billing address. I have clicked on “pay” button 3 times, but I do no think it went through. Could you please check the secure website? I use a mastercard. Please let me know via my email address if you get this fixed. You may have it since I use it to post my questions on this website. Or I may send you a check. So far, I have amended 2012 tax and completed 2013 tax, thanks to your great help. I am now relieved and very very happy. Where is the tip jar? Make it easy so I can send something for all the help with this topic. Thanks. Harry, thank you for your generous effort in explaining this rather complicated process on TurboTax! It’s really a lifesaver!! Background info: In February 2013, I contributed a non-deductible $5000 for the 1st time to a new trad IRA account for the 2012 tax year. Next day I converted all of it to a new Roth IRA. In February 2014, I contributed non-deductible $5,500 to trad IRA for the 2013 tax year. Next day I converted all of it to Roth. On my 2012 Form 8606 line 14, my total basis in trad IRA for 2012 and earlier years was $5,000. For this current 2013 tax filing, I need to report a $5,500 non-deductible trad IRA contribution AND $5,000 Roth IRA conversion. I’ve been using $5,000 as my total basis for the tax year 2012. But the date in this question is throwing me off. Technically it should be $0, since I didn’t make the contribution for 2012 until Feb 2013. My 2012 Form 8606 had $5,000 as the total basis (as mentioned before). So, should it be $5,000? or $0? Again, the date is throwing me off. By Dec 31, 2013, I had already converted all my $5,000 to Roth, and I had NOT contributed my $5,500 to Trad IRA until Feb 2014. Should It be $5,500? or $0? Chiu – (1) $5,000. From the article: “If you contributed non-deductible for previous years (regardless when), enter the number on line 14 of your Form 8606 from last year.” (2) $0, as shown on your end-of-year statement. Thank you so much for your help! Moving forward I am definitely going to contribute and convert within the corresponding calendar year to avoid all these confusion! Hello Harry, thank you so much for the helpful hints. I have two questions about the contribution. $5000 for the year 2012 AND $5500 for the year 2013 in Feb 2013 then converted to roth immediately. (1) What should I put for “your total 2013 traditional ira contribution,” $5500 or $10500 ? (2) What would my “total basis as of December 31, 2012” be? Tom – (1) It should be $5,500. (2) It should be 5,000 but line 14 of your Form 8606 from 2012 isn’t correct. The same line for 2010 and 2011 probably aren’t correct either. Harry, as you suggested, I put $5,500 for the contribution and $5,000 for the total basis but line 14 of my form 8606 from 2013 is 0! I’m stuck. Tom – If you converted $10,500 in 2013 it should be zero. Now that you caught up, going forward always contribute for the current year and convert, as the example shown in the article. You will have a much easier time that way. Hi, Harry – I entered everything for my 2013 contribution that I made earlier this year and it’s all good. I have made 2 backdoor conversions in 2013 for 2012 and in 2012 for 2011 – but could never figured out how to do them (it would just frustrate me and I would give up and on both occasions chose not to enter anything at all). Now that I know how to – should I file amended tax returns for 2011 and 2012 or just let it go? I usually buy audit defense from TurboTax and nothing (knock on wood) has been flagged yet..
Vic – I would amend the returns and make them right, even though it won’t affect your bottom line that much (maybe a few dollars as shown in the example in this article). Tip jar link worked! Thanks for the pic by pic instructions. They really helped me get through this. Your instructions are very useful. Great to know that I am not alone in this issue. I had a question. I opened a trad IRA and a ROTH IRA in 2013. I made a single contribution to the trad IRA account and converted it to the Roth within a few days. I received a 1099-R but no other forms. So I followed your instructions for both the 1099 section and the IRA contribution section. The only change I made is clicked ‘No’ for not-deductible contributions to your IRA. Is that right or do I report it differently? First, I appreciate your work. I made a $1400 contribution in 2013 for tax year 2012 in a traditional IRA with the left over money that i couldn’t contribute to a Roth because of income limits. I never converted the $1400 . I just left it as cash in a trad IRA, so it made a few pennies. Anyway, now i make too much to contribute anything in a roth. My question is since i didn’t donate anything for yr 2013. Can I contribute the difference $4100 for tax yr. 2013 to the trad IRA bringing the total to the 5500 max, then convert it to my Roth IRA for the tax yr 13 before April 15th 2014? BTW I’ve had the Roth for years before my income became too great. Also would i have to wait for 2015 to file the 1099-r and report to the IRS via the 8606 what i did this year? Richie – You can contribute $5,500 to your traditional IRA for 2013 before April 15, 2014. Contribute another $5,500 to your traditional IRA for 2014 while you are at it. And then convert the whole thing in 2014, assuming you don’t have other traditional, SEP, or SIMPLE IRAs. This way you get everything done one 1099-R for 2014. As this article showed, contribution and conversion are two separate events. You report on the tax return the contribution *for* that year and the conversion done *in* that year. The only other Retirement product i have is a 403b which doesn’t apply from my undertsanding. This is my 3rd year now performing the backdoor IRA -> Roth IRA conversion for both my wife and myself. For 2013 I deposited $5500 (for each of us) and converted a few days later (now a value of $5500.01). Confirmed I’ve followed the instructions above a few times but TurboTax wants me to tax me $500 on each account (not $0.01). My 1040 preview shows 11,000 on line 15A and 1,000 for 15b. I’d expect 15b to be 0 as my “earnings” of 0.01 x 2 would round down. Any ideas??? Thank you very much for the very helpful article! If you can help me here, I’d be very happy to add to the tip jar! I now realized that I did this wrong in 2012. In 2012 I put 5k of post-tax money into a VG IRA and then converted to Roth the next day — no change in balance. At tax time, I imported VG’s 1099-R with 5k of contributions, but I never generated the 8606, and so TurboTax counted that 5k as income. Might you be able to guide me through using TT to amend my 2012? Thanks very much for the helpful column. I’d be thrilled to add to the tip jar if you might be able to help me with another, similar situation. I realize now that I did this wrong in 2012. In 2012 I contributed 5k of post-tax money to an empty VG IRA account. The next day I converted it to Roth — no change in balance. At tax time I imported the VG 1099-R but didn’t prompt TurboTax to generate the 8606. It looks to me that TT counted that 5k as income and that I overpayed my 2012 taxes. I still have my 2012 copy of the TT program. I had to amend my 2012 taxes b/c I received a corrected w2. do you know if I can use TT to amend 2012 again to recoup the overpayment? Ted – Yes you can amend your 2012 return again. If your contribution in 2012 was actually for 2011, you also need to fill out a 2011 Form 8606. Here’s what TurboTax says about amending a previous return: How to Amend a 2012 Return in TurboTax CD/Download Software. This has been a great resource as I try to complete my 2013 taxes using TT. I did my first backdoor conversion in 2013 (in April) and think I entered all the info in correctly – my results seem to make sense and they look like the screenshots – but I’m not sure I understand why TT is asking about the basis as of Dec 31, 2012 instead of the basis at the time of the conversion. After all, there were funds in my IRA that were contributed on an after-tax basis (i.e. non-deductible) that were part of the conversion that it doesn’t appear I’m getting “credit” for since I can’t see where it’s asking about those funds. What am I misunderstanding? If your contribution in 2013 was for 2012, you should do the steps in the first part of this article on your 2012 return. Then your basis will carry over to that “as of December 31, 2012” field. That gives you credit. If your contribution in 2013 was for 2013, entering the contribution gives you credit already. Great useful article – this is a bit of an indictment of Turbotax that it took your article to get my backdoor Roth IRA recorded correctly…. Fantastic article, thank you so much. One outstanding issue, similar to the dialogue between YF and Harry above (comment #30). I successfully executed the backdoor roth conversion in 2013. In 2013 I also took my former employer’s 401k and rolled it over into a Rollover IRA. Thus, when asked by TurboTax for my traditional IRA balance, I entered in the value of my Rollover IRA, but then that triggers tax consequences. I called Fidelity (where these accounts are) and asked them if my Rollover IRA is considered a Traditional IRA, meaning I have to enter in the balance when TT asks me for Traditional IRA balance. They said, no, this Rollover IRA is separate, and as long as I keep it separate from my Traditional IRA (which of course has a zero balance), then I don’t have to include this Rollover IRA balance when I’m asked for my Traditional IRA balance. This is the answer I was hoping to hear (basically that a separate Rollover IRA that came exclusively from a 401k) is different than a Traditional IRA. However, this seems to contradict the response that you had, Harry, to YF above. Does this make sense and sound accurate that I can enter in a zero balance when TT asks me for my Traditional IRA balance? @Bryan – It’s the answer you like to hear but it’s not the correct answer. A rollover IRA is a traditional IRA funded by money from a rollover (unless you did the rollover to a Roth, which doesn’t appear to be the case). Your options are the same as in my reply to @YF. If I were you I would recharacterize the conversion before April 15 (or before October 15 if you file an extension). That will put the money back to the traditional IRA. Then follow the “complete how-to” steps and do it the right way in 2014. Thank you so much for the quick response. That’s a bit troubling that Fidelity very clearly advised me that I can say I have a zero Traditional IRA balance, when you’re confident otherwise. Is it still possible to take my Rollover IRA and move it to my current employer’s 401k (assuming they let me), or would that have needed to be done in 2013? @Bryan – Only doing so now won’t affect 2013. As you saw in TurboTax the calculation for your 2013 conversion is based on the balance on 12/31/2013. If you look at IRS Publication 590 which covers IRAs, you will see there’s no such thing as a rollover IRA as far as the IRS is concerned. They see Traditional IRA, Roth IRA. SEP IRA, and SIMPLE IRA. I was just doing exactly, that…searching through the IRA rules to see if there’s anyway the Rollover IRA is technically distinct from a Traditional IRA, but it certainly does look like you are correct about all this (and I received incorrect advice from Fidelity). Now since I don’t want to pay the taxes from this Roth IRA backdoor conversion I did for 2013, I guess I’ll have to do a recharacterization. Does it complicate this that my backdoor Roth IRA conversion included $5k from 2012 and $5.5k from 2013 (so it was a $10.5k backdoor 2013 Roth conversion)…of course both of those original Traditional IRA contributions were nondeductible. Is the only way to “hide” the rollover IRA to try transfer all of the funds to my current employer’s 401k (if they’ll let me)? Any other reasonable ways to get those funds out of this rollover/traditional IRA (aside from paying taxes to convert to Roth)? I wish I never rolled my 401k with my former employer into a Rollover IRA! Thank you @Bryan for the tip. Does it complicate? Not really. You are still just doing it in one transaction. The conversion and its subsequent recharacterization are separate from the contributions. Just make sure you still enter the contribution part into TurboTax for both 2012 and 2013. If you contributed $5k for 2012 in 2013, that $5k needs to go into your 2012 tax return, to be carried over to 2013. The “hide” part is in the “complete how-to” article. Either your current employer’s 401k or your own solo 401k (if you have self-employment income) will do. Those are the only two ways. Recharacterizing your 2013 conversion will also take some earnings back to the Traditional IRA. If it’s too much trouble to “hide” the earnings as well, just pay tax on those earnings when you convert. The earnings shouldn’t be too much, although 2013 was a good year in the stock market. While you are at it, contribute for 2014 in 2014 before you finally convert again. Harry-My situation is little messier. (1) I contributed $5500 in May 2013 for 2013 Roth IRA contribution. (2) When I am preparing my tax return, I find out my 2013 income is too high to be eligible for Roth contribution. In early March 2014, I contacted Fidelity to recharacterized my original 2013 Roth contribution in amount of $5500 + earning into a non-deductible traditional IRA. Luckily, I don’t have any traditional IRA before. (3) Few days later I converted the entire amount in non-deductible traditional IRA into my Roth IRA. My question is how do I report the original $5500 2013 Roth IRA contribution (or do I need to report it?) and the recharacterization of 2013 Roth contribution ($5500+earning) into non-deductible TIRA in TurboTax. Will I get two 1099-R, one for recharacterization and the other for conversion in 2014? John – You enter it similarly to the first part in this article. Instead of checking the Traditional IRA box, you check the Roth IRA box. Then on that “Did you change your mind” screen you say yes and go from there. Whatever 1099-Rs you get, you worry about them next year. My question is will TurboTax be able to figure out if I start contributing monthly to my IRA and immediately converting the entire IRA balance to Roth each month? Or is that far too much of a paperwork nightmare and not worth any potential savings? @kimc – TurboTax is able to figure out as much as you tell it. You can lump all contributions together as one entry. If your IRA custodian gives you one 1099-R for your 12 conversions in the year, then great. TurboTax can’t tell any difference. If you get 12 1099-R’s, you will have to go through it 12 times. Ask your custodian how many 1099-R’s you will get. I reported a non-deuctable IRA contribution made last April in 2012. Shortly after that I converted it to a Roth-IRA trying to take advantage of the backdoor. I received a 2013 1099-R form with a distribution code of R for box 7, with IRA/SEP/SIMPLE checked off. 2a-Taxable Amount is 0. After entering the form, TurboTax never asks me what I did with the money, so I have no chance to say I converted it to a Roth. If I enter the amount as a Roth IRA contribution in the Retirement section under Deductions and Credits, TurboTax tells me I make too much and have to pay a penalty (defeating the backdoor process). Code R is recharacterization for the previous year (2012), not conversion. Either your custodian issued the form wrong, or you filled out a wrong form or used the wrong verb when you made the request, or the person who processed it heard/read it wrong. If you recharacterized before you converted, maybe there’s another 1099-R form for the conversion. Mike – For each year you made non-deductible contributions, you were supposed to do the steps in the first part of this article. That will give you a basis to carry over from year to year. If you didn’t do that in those years, you can fill out a Form 8606 now for each year by hand. You can find the previous years’ Form 8606 on IRS’ website. Just Google “2011 form 8606” for example. Yes you are paying tax on the growth plus the $3,100 deductible contribution, or looking at it the other way, the full value minus your non-deductible contributions. When you add up the non-deductible contributions, you can put that in the “Let’s Find Your IRA Basis” screen. Last April I opened a traditional IRA with an after-tax contribution of $5000. Soon after I instructed my broker to convert it to a Roth IRA, attempting a “backdoor” Roth to avoid penalties based on income limitations. I use Turbo Tax. I reported the initial IRA contribution on my 2012 tax return, and this year for 2013 am attempting to report the conversion. However, the 1099-R I received has a distribution code of “R – Recharacterization”, which gave me trouble in Turbo Tax (it won’t let me indicate the distribution went into a Roth IRA). I investigated and found out my Financial Advisor filed the move of funds to the Roth IRA using a Recharacterization form, not as a conversion as requested, which would have generated a 1099-R with a distribution code of “2”, which would let me complete my taxes as expected. I’ve asked my Advisor, and he said TD Ameritrade (who he uses) won’t fix it, and to just enter the “2” with an explanation that the broker made a mistake. At this point, should I enter a “Substitute 1099-R” in TurboTax, which will generate a Form 4952, and enter the distribution code as a “2”? Jay – I’m not a tax professional. I can only tell you what I would do if I run into the same situation. The broker (TD Ameritrade) didn’t make any mistake. Your financial advisor filled out the wrong form. This made your 2012 contribution a Roth contribution, which you weren’t eligible. Your 2012 tax return was also wrong. So I would first amend my 2012 tax return: remove the non-deductible IRA contribution, report an excess Roth contribution, and pay the 6% excise tax. You didn’t say whether you are eligible to contribute to [front door] Roth for 2013. If you aren’t eligible again, your excess contribution in 2012 stayed as excess contribution for 2013 again because the deadline to remove it passed on 12/31/2013. This triggers another 6% excise tax. If you are eligible to contribute to Roth for 2013 but you haven’t contributed yet, you can let the excess use up your 2013 Roth allowance (your 2013 max Roth contribution becomes only $500) and not owe the 6% excise tax. If you are eligible to contribute to Roth for 2013 and you already contributed, you can withdraw 2013 contribution down to $500. After I’m all done with this, I would ask the financial advisor to reimburse me the $600 excise tax and the trouble for fixing my tax return unless I gave the wrong instruction to the advisor. After I get the reimbursement I would fire this advisor anyway. Someone not knowing the difference between recharacterize and convert is incompetent to be my advisor. I should add if I’m not eligible to contribute to Roth for 2013 again, after paying the 6% excise tax for a second year, I would finally stop the clock by removing the excess Roth contribution in 2014. I need a little help please. These directions are not working for me and I am showing that I owe tax in Turbo Tax. It may have something to do when I show I did the conversion. I have no previous IRAs and contributed to the 2013 non-deductable IRA in March 2014, so I checked the box that I made the contribution after Jan 1 and before April15. I did the transfer to the Roth IRA the next day again in March 2014. Does this mean that I need to wait until I do my 2014 taxes to show the conversion? I did note that when I uncheck the box for making the contribution go away the extra tax goes away. I nearly cried with joy when I found this article! Last year I spent hours upon hours trying to figure this out in TurboTax. I FINALLY did. I swear I wrote out the process but can’t find the sheet this year. This article literally saved my 5 hours of work trying every possible combination of responses. Turbotax makes this so strangely complicated. 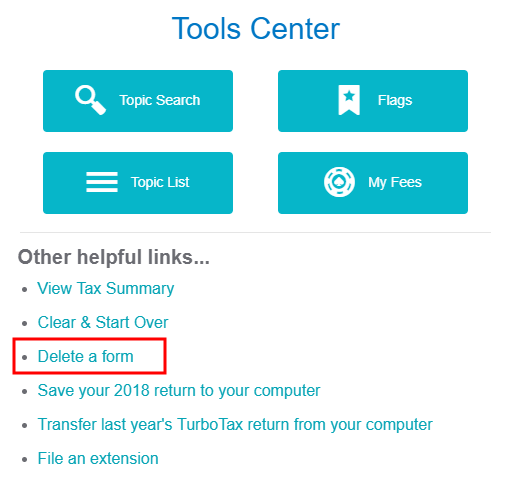 People on their community forum ask every year why its not working and the Turbotax people give lame answers (“You will owe tax if you rollover so it shows tax”–which is never what the frustrated people are asking). 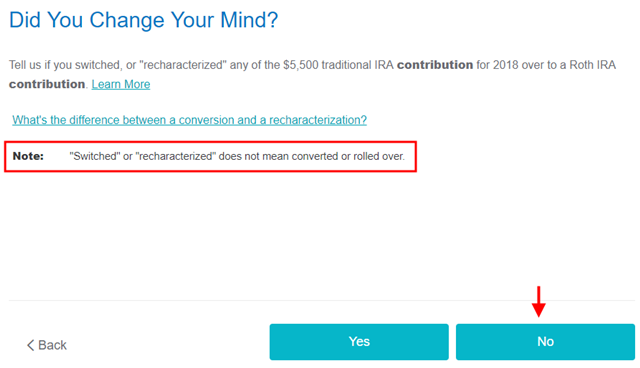 Worse, TurboTax itself gives completely contradictory definitions of rollover and recharacterization depending upon where you look. It’s been YEARS of this nonsense–why can’t TurboTax make it easy??? According to this article on TurboTax community, all conversions are rollover. That’s what confused me. Thank you so much for this article. I thought I’d have to go to an accountant to figure this out – you saved me a trip and a few bucks, which I’ll be happy to contribute to the tip jar. Cheers. TFB, this is the best reference. Thanks so much for all this, plus all the other useful articles/posts you have made here and at Bogleheads. 1. In 2012, we contributed $5k to our TIRAs, but converted $4,996 to our ROTHs. Form 8606 showed line 14 showed a total basis of $4 for 2012 and earlier years, but at the same time line 3 of the IRA information worksheet shows the basis carryover as of 12/31/2012 as $0. The 2013 TT shows that my basis is $0. Is this correct? 2. The conversion of the 2013 recharacterization will have to occur in 2014. Line 14 of 2013 TT shows that the total basis in TIRA for 2013 & earlier years was $1,680. Is this correct? 3. We already made our 2014 ROTH contributions, but I am thinking of recharacterizing our entire $5,500 contributions and converting alson in 2014. There is a possibility we could be in the same partial contribution boat for 2014, but I just don’t want to have to deal with that, and any taxes on converting $5,500 vs. a partial amount won’t be that significant. Therefore, will this affect anything drastically for 2014 that we are converting a 2013 recharacterization and also recharacterizing and converting our 2014 contributions? Tx for all your help. And, again, I am grateful for this guide TFB. 1) $4, let it go; use $0. 2) No idea where it came from. If that’s the partial amount you recharacterized before earnings, it’s correct. 3) It won’t affect anything. If you recharacterize later you will have to pay tax on the earnings when you convert. If you haven’t earned much on the $5,500 yet, converting now may save you money. My situation is a bit weird… I followed everything in this article but as soon as I added 1099-R, my refund goes down even though TurboTax says “Good news you don’t owe tax on this money” page. @CL – Make sure you really follow everything. Keep going. You are not done yet after you see that “Your 1099-R Entries” screen. IF I follow your instructions for 2012 and amend my return to accommodate my TIRA, I receive 1500 additional tax return due me. If I then do my 2013 taxes using your instructions, I need to pay over 4,000, given my two 1099-Rs total 26,000. I’m confident I’m messing this up… any hints as to what I need to do differently from your instructions (or pay closer attention to) in order lower this tax burden for 2013? (I’m not overly confident that I’ve done 2012 amended properly). John Z – Take it slow and do it one year at a time. Reporting a non-deductible contribution to traditional IRA for 2012 doesn’t change your refund. Print out your amended return and see what changed and why it’s giving you an extra refund. If you can’t make TurboTax do it, you can hand-fill a 2012 Form 8606 and file that alone. It’s really simple: just follow the instructions. You need one form for each person. If you entered it wrong before, some entries may be stuck. Go to Tools -> Delete Form and delete the IRA contribution worksheet. That will give you a fresh start. Then follow the steps closely. Enter 6,000 when it asks you for your total basis as of Dec. 31, 2012. First off – THANK YOU for an absolutely fantastic article! The explanation is simple and so easy to understand. I really like how you broke it into the two parts – getting money *in* to the traditional IRA and then the *conversion* part, and switched them around from the way that TurboTax has it set up. Yours makes so much more sense. My question is – how would the scenario change if there was a *loss* by the time you converted to Roth IRA, so that the value fell / decreased to $5480. How would you indicate the loss and show it this year? Is the capital loss something that you can carry over to offset future capital gains? If so, how would you do this? Rashmi – You don’t show any loss. It’s as if you converted at face value and then you suffered a loss in the Roth account. Tx for the reply Harry! Would you be able to expand on your answer on point 1 in my topic above? I appreciate your response, I was just hoping to also gain an understanding as to why TT was reporting $0 as my basis on the IRA information worksheet and $4 on Form 8606. It is that discrepancy which makes me wonder if the program is computing it properly. I know having a IRA cost basis of $0 would be easier, but could this discrepancy raise IRS eyebrows? Brian – The 3rd bullet under Part I on Form 8606 says you fill out part I only if “You converted part, but not all …” When you converted all, you skip directly to part II. No number on line 14 to be carried over to the next year. 1. What happens if a person accumulates a large balance in his/her non-deductible TIRA and wants to backdoor at some future time? Hypothetically, let’s say the balance is $55,000. Is it still possible to backdoor in the future? 2. Perhaps to backdoor in the future (let’s say after 10 years), then the $55,000 from the above example would need to be converted to a ROTH. Is that the case? 3. Would this create an accounting nightmare with having multiple years of non-deductible TIRAs? @Brian – If you can’t contribute because of MFS or income limit, you can still backdoor every year. That’s the point of a backdoor. No reason to wait 10 years. Harry, You are the go-to man every year for reporting this! Thank You very much for taking the time to update it. I know that everyone appreciates your efforts. Thanks for the wonderful advice to all! Here is my situation and question. 1. File a 8606 now for my 2013 return. 2. pay taxes on the conversion in my 2014 return. Now for the 2014 Roth that I just converted, I assume that I’ll pay for that conversion next year as well, but what about the 8606 for 2014. Do I file that next year? @Spiff – Yes you do that next year. It will have your basis carried over from 2013, non-deductible contribution to traditional IRA for 2014 and your conversion in 2014. The more I learn, the more I realize I don’t know enough. Harry, thanks so much for all the help. If we did MFS, if I recall correctly, Roth contributions are not allowed if an individual earns greater than $10,000 or $11,000 per year. Filing MFS, our incomes would be well above that limit. Do u think backdooring in thIs situation to get into a ROTH would increase our chances of raising eyebrows at the IRS anymore than backdooring if we filed MFJ? I’m just concerned because of the larger discrepancy of income over the ROTH income limitations via the front door method if we filed MFS. @Brian – I have no idea what raises their eyebrows. Everybody using the backdoor by definition exceeds the income limit one way or another. The income limit for MFJ is $200k or so. Someone doing it could have $500k income or more. Only you can decide whether it’s worth doing or not. Okay, getting things close. Appreicate help. I contributed $5500 for both myself and spouse *for* 2013 in March of 2014 into a Vanguard Traditional IRA. I immediately converted it to my existing Roth IRA a couple days later in March of 2014. I understand that I need an 8606 form and just report the contribution for my 2013 taxes and report NO conversion, until my 2014 taxes. My confusion comes in in turbo tax as it shows my income at 180, 000 (my wife doesn’t work, and I don’t have a retirement plan at work this year). Turbo tax is asking me if I want to make this a DEDUCTIBLE contribution (but it doesn’t know that I have converted it to a Roth and will be filing the conversion in 2014). Do I still choose to make this a non-deductible contribution, as it gives me the choice. Obviously, I didn’t know what my income was going to be and could have potentially avoided the complicated backdoor process if I had known my income would have been below the 188 or so. Justin – It’s your choice. If you take the deduction for 2013 you will pay more tax for 2014, which, other than when you pay, becomes a wash if your tax rate is the same in both years. If your tax rate is lower in 2013 than 2014, you don’t want to take the deduction at a lower rate and then turn around and pay tax at a higher rate. You want to take the deduction if your tax rate in 2013 is higher than your tax rate in 2014. Some states give special treatment to IRA distributions. If you live in the right state and you meet the age requirement, you may be able to save some money on state income tax by taking the deduction. See Deduct-and-Convert: Save Hundreds in State Income Tax on Roth IRA Contributions. I wonder if you can help me with this question. On 3/12/14 I contributed $5,500 to a traditional IRA account for 2013. Later on I realised that none of this amount was deductible so on 4/1/14 I fully withdraw the amount as an excess distribution. 1) Do I need to report anything of this in my 2013 tax return? 2) If yes, how do I do it? Carlos – Yes you do. When you withdrew your contribution, you also had to withdraw some earnings. The earnings are taxable in 2013. See IRS Publication 590, p. 33, “Contributions Returned Before Due Date of Return.” I have no idea how to do it in TurboTax though. I made $4000 contribution to Roth in 2012. At the beginning of 2013 I realized I needed to recharacterize my Roth as I exceeded the income limit in 2012. Before April 15, 2012 tax deadline I recharacterized my Roth to nondeductible IRA. The amount was $4500. A few days later, I converted $4515 (there were minor gains) from nondeductible IRA back to my Roth. The way I understand this is – my Roth recharacterization had to be reported in my 2012 tax return while my nondeductible IRA to Roth conversion has to be reported in my 2013 tax return. Is this correct? I filled out part I of 8606 form in my tax return for 2012, with a small mistake: I entered $4000, instead of $4500, thus omitting the interest on the $4000 in my Roth. So, first thing, I have to amend my 8606 for 2012. Then I have to report my nondeductible IRA to my Roth IRA conversion for tax year 2013. Do I fill out both Part I and Part II of 8606? I’d appreciate any instructions on how to fill out 8606. Molunat – You didn’t make a mistake for 2012. The recharacterized contribution should be $4,000. If you don’t have any other traditional, SEP or SIMPLE IRA, because you converted the whole thing, you only fill out Part II on 2013 Form 8606. $4,515 on line 16, $4,000 on line 17, you pay tax on $515. My confusion comes from my 1099-R statements. The one for the Roth characterizations has $4500 written in box 1. The one for my nondeductible conversion has $4515 written in Box 1 and Box2a. The gains in my Roth were $500 and in my nondeductible IRA was $15. Since my Roth recharacterization basically means my Roth contributions never happened, any gains on $4000 are attributed to my nondeductible IRA, correct? Molunat – That’s right. After you recharacterized, it’s as if you contributed to a traditional IRA to begin with. The earnings are attributed to the traditional IRA. I would probably not bother with a late statement either. P.S. I did not include a statement when I filed 8606 in 2012. If I hear from IRS I will do one, but I assume it’s not worth doing it now. what if I wait to the last minute to create the nondeductible IRA, then convert to do the “backdoor” Roth conversion before 4/15 so I do not have the 1099-R form from the Payee yet. Then what do I do? I still have a problem. At last step when I entered the value of my traditional IRA as of Dec 2013 (some leftover ~$500 cash value in the traditional IRA account), turbotax then calculated a tax amount that I should pay. Since I have not take a distribution of that amount, why should I pay tax on it? RM – That’s how the pro-rata rule works. When you convert that $500 this year or in the future, you will pay tax on less than $500. FWIW, I was having issues with turbo tax incorrectly reporting my backdoor roth contributions as taxable (the full amount of contributions) after following this guide to the letter. After quite a bit of trial and error I found that another, unrelated 1099-R form that I had previously entered was messing things up. One of those forms / worksheets was messing me up, when I deleted them all and restarted everything was good. Just incase anyone else runs into this, this seems to be the only way to do a “Full Reset” of the IRA contributions worksheets in turbotax online. Thanks for the otherwise awesome guide financebuff, keep up the good work! Thank you so much for this! As I sit here after midnight on the 14th, I am so grateful that the panic I was feeling an hour ago has subsided and I can feel confident that my tax returns were prepared correctly (both 2012 & 2013). I am also relieved that I was not the only one having trouble with this on Turbo Tax. You are a lifesaver, Harry! Thank you so very much for this! I knew about the back door Roth, but just enough to be confused. This and your other article provide so much relief, I can’t tell you! One question, though: When I retire, and I move my Federal Thrift Savings Plan to an IRA, that won’t interfere with my Roth IRA, right? I just won’t be able to contribute the $6500 (like I do now) to a Traditional IRA and then convert it to a Roth; I’ll just have two IRA accounts (a Trad. and a Roth) right? You are welcome. That’s correct. You will have two IRA accounts. You also have the option to keep the money in the TSP. Shouldn’t Box 2 be only $20, the actual gain? If you input the full $5520 on Box 2, Line 15b on the 1040 will show the full $5520 as taxable, not just the $20. I of course have not received my 1099 for 2014 yet but wanted to do a practice run for my 2014 taxes so I just used your numbers. Got confused when I looked at line 15b until I realized the problem. You have provided a great set of instructions. Thank you. Did you do the contribution part first? Follow the instructions as a complete set from start to finish. Don’t jump ahead. Otherwise you scare yourself unnecessarily. Box 2b says “Taxable amount not determined.” That means the number in box 2 isn’t necessarily accurate. You enter whatever are actually printed on the 1099-R. Don’t change the numbers. Hi Harry. Can I pay to get an hour of your time to consult me on my tira to rira contributions, which I recharacterized. I only started this a few years ago, but it’s so complicated due to my recharacterization. I’ve had a lot of wrong advice and really need to get my historical part correct and what to do ever year. So. everyone ready to report this for 2014? I’m going to be reviewing this post line by line very soon! I just tried to do this for my 2014 return and after I entered in the 1099-R exactly as described above (same way I have done previous years), the refund tracker decreased as though it were a taxable event despite saying “Good News: You Don’t Owe Extra Tax on This Money.” I just wanted to see if anyone has experienced that for 2014 return and if you figured out how to correct it. Thanks. Ok, I figured it out. Once you enter in your contributions to the traditional IRA under “Deductions & Credits”, the refund tracker will go back up. I’m trying to file exactly as per this guide, but when I add the 1099-R, it decreases my tax refund amount. The only difference between the example on this page and my case is that i converted the contribution for 2013 in 2014, and am making a contribution for 2014 in 2015. So, in the “Tell us how much you contributed Step”, for “contribution between Jan 1, 2015 and April 1, 2015”, I have entered $5500 because I’m making that contribution this year for 2014. Harry, I can’t thank you enough. This was a very frustrating experience until I found your website/instructions. The screen shots were incredibly helpful; thank you, thank you, thank you. superb articles on the back door Roth conversion. I haven’t yet been able to heed your advice on contributing and converting in the same year. (I plan to do so in 2015). So, my 2013 contribution was done in 2014 (and converted in 2014) and I was planning on doing the same this year (2014 contribution in 2015 and conversion in 2015). I am thinking I probably need to correct my 2013 tax return as you mention (do I just go back to my turbo tax 2013 to do that? ), but I received a 1099-R for 2014 despite my contribution being ‘for’ 2013. Is that correct that I should have received this, or do i need to check with my broker to make sure they got the ‘year’ correct for my contribution? And when I go through the steps on Turbo tax, the only way I don’t get charged a penalty is if i make the taxable amount zero (which I realize is incorrect based on the 1099, which has 5500 in that slot). Receiving 1099-R for 2014 is correct. You can go back to TurboTax 2013 or you can Google the 2013 Form 8606 and fill it out by hand. It’s really easy, just a few numbers on lines 1-3 and 14. Then just sign and mail in the 2013 Form 8606 by itself. After that, in one of the “Find Your Basis” screens you will enter your contribution for 2013 as your basis. As a result, my 1099R shows 11,000 as my distribution, so I’m being hit for taxes on $5500.00 of it since it was done in march of last year, but before the April 15th deadline. Or did I make a huge mistake doing my 2013 and 2014 in the same year, though before April 15th on the 2013 conversions? See reply to the previous comment. You have to get your contribution for 2013 onto your 2013 return, then carry over the basis to the following year. What an amazingly simple to follow guide!!! THANK YOU!!! This was so helpful with the step by step and screen grabs. Wow, this was amazingly helpful. I could not have figured this out on my own. Thank you for taking the time to write these incredibly detailed, dummy-proof instructions. I’m in awe. Thank you!!! Harry – So extremely helpful – thank you very much. Very helpful. Thank you. I would’ve submitted the return with 15a and 15b on the 1040 saying the same thing–5512. Then I read your article, went back to Deductions and explored the IRA part under deductions and went through the necessary steps/pages and viola! 15b became 12. The refund amount increased. Then I knew it was proper. – DID NOT contribute to TIRA in 2013 or 2012 (did in 2011). So 2013 Form 8606 has blank (not 0) in Line 14. 2011 Form 8606 has $5000. 1) There is no year-end value for my Traditional IRA since I converted the entire balance on 4/2014 to Roth. Do I put the balance as it was on 3/2014 before the Roth IRA conversion? 2) What do I put for IRA Basis? I have been putting 0 since 2013’s 8606 has –blank– in LIne 3 (and Line 14). (1) Zero. (2) 5,000. It’s better once you did a 8606 you do it every year to carry the number forward. If you did that your 2013’s 8606 would have had 5,000. That way you only have to go back to the most recent year, not all previous years. But it’s not required. It’s good that you remembered. Since all my TIRA contributions were non-deductible, I cannot roll it my 401k. 1) My taxes owed jumps from ~3000 to ~7000 (fed+state). Does this seem right? It’s only when I complete the 1099-r that the taxes jump (I didnt go to the very end to see if the # goes down, but I doubt it). – Taxable amt not determined is checked (2b). Total distribution is NOT checked. 2) I’m even thinking of undoing the Roth conversion so I don’t have to pay extra $4000 in taxes. I guess that defeats the purpose of backdoor Roth. It appears you didn’t enter your non-deductible contribution for 2014 yet. Do the series of entries in the first part of this article. You tax owed will come down by $2,000 or so. I deleted all the #s and tried again. I’ll take a look at it again. Worst case, I’ll go see a Enrolled Agent. Any other thoughts are appreciated! It should go up. The question is by how much. Make sure you finish the last few screens after you see “Your 1099-R Entries.” Also do the last part and preview your 1040. See how much you are taxed on line 15b. Do the whole thing. Don’t skip any steps. I guess that makes sense. 20K (converted) -5500 (2014 contribution) -8000 (Basis) = $6994. But nto sure why taxes owed go up $3000 on $6994 taxable amt. I did get hit with AMT so maybe that’s why.. I just went over your tutorial and it is very helpful especially since I am new to this all. I am slightly confused over my situation and was hoping if you would be able to help/clarify. I filed by 2013 tax by March 20, 2014, and then got to know about this entire backdoor Roth from a friend. So I contributed for 2013 in May 2014 converting from Traditional IRA to Roth IRA the very next day. I received 2013 Form 5498 later in the month, showing the amount 5500 I had contributed. Thereafter I contributed to the Roth IRA for year 2014 itself, and now I have 2014 Form 1099-R, which shows $5500 with all the ticks/marks just like yours. Yes you fall into the category where you contributed *for* 2013 but didn’t convert *in* 2013. See reply to comment 137. I came across this website just the other day and find the information here invaluable. I definitely plan to contribute to the tip jar. I apologize if this question has been asked before, but I’m in a situation where I want to start following your advice and do both the contribution and the conversions in the same year. But I hadn’t contributed the $5500 in 2014 so for this year, I contributed $11K ($5500 for 2014, $5500 for 2015) into a traditional IRA account. I did report my 2014 contribution in Turbotax when doing my 2014 taxes, as you instructed in the first half of your procedure above. So now in 2015 – can I go ahead and convert the full amount ($11K) to the Roth? And next year I can follow the bottom half of your instructions above and input in Turbotax the $11k conversion in 2015, right? Is there anything special I would need to do to prevent tax issues? Then going forward my intent is to both contribute and convert in the same year. Just want to make sure I’m doing this correctly and converting $11K all at once vs. $5500 won’t cause issues. Thanks for the terrific guide! I am also one of the ones that contributed to my IRA in early 2014 but claimed it for 2013. I contributed $5,500 to an existing Rollover IRA and then backdoored it to a Roth IRA with Vanguard. Your instructions worked really well for the 2013 part. I followed it up until the stop here section…Am I done as far as that part? I’m using TT Amend 2013. I know for the already existing amount in the Rollover IRA, I’ll have to report that taxable amount for 2014. My 1099-r with Vanguard is trying to get me to report the entire amount as taxable for 2014. Thanks for responding Harry. I really appreciate it. I got the 2013 form 8606 for amendment but line 1 states to enter for contributions ‘including those made for 2013 from jan 1, 2014, through april 15, 2014’. I am confused because I initiated the entire thing in May 2014 – so is that okay? Sorry I missed the May part. The deadline to contribute for 2013 was April 15, 2014. Not sure why your IRA custodian accepted your contribution for 2013 in May 2014. Are you sure that was the case? Please double-check your transaction history, account statement, and your Form 5498 for 2013. Call your IRA custodian and ask if they indeed marked it as contribution for 2013 and why they were able to do so after April 15, 2014. If they tagged your contribution in May 2014 as for 2014 and you made another $5,500 contribution for 2014 (at the same place or different?) now you over-contributed and you need to withdraw the excess contribution. Sorry. My bad. I actually had it mixed up because I made two contributions last year. I initiated it all in early April 2014, hence falling within the deadline contributing for 2013 and converting it, and then made second transaction in May for 2014 itself with the same custodian. However, I am disappointed because in efforts of trying to secure future well-being, I made more than one error. My custodian spoke about ‘recharacterization’. I tried to enlighten myself on it as well, but I know your words/guide in how to follow through with this would be life-savor, especially in how to go about reporting this mess. My custodian mentioned to correct the error, I could do recharacterization whereby money would be pulled out from Roth IRA, placed in Traditional (with gains/losses accounted) and then I can convert it into Roth for 2014 being mindful of the taxes to pay on whatever earnings that the $5500 generated. My only issue with all this is trying to figure out what is it that I need to do in filling out the forms to account for this. Is there anything different I should be doing now? If I proceed with this recharacterization to correct my contribution for 2014, does the process still remain same whereby I would show my contribution for 2014 now, and then account for conversion in 2015? Please help…!!! Go slow and do one thing at a time. 1) Contribution for 2013 done in April 2014: Fill out that form, just the first few lines, and send it in. 2) Ineligible contribution to Roth in 2014: Do the recharacterization paperwork with your custodian. Then enter the contribution similar to the first half in this article but check the Roth box and then say you changed your mind. 3) Conversion in 2014: Follow the 2nd half of this article. In “Let’s Find Your Basis” you would have $5,500 from 2013. In “Tells Us the Value” you would have your recharacterization in the 3rd box as the outstanding recharacterization. When it’s all said and done you will have some money in your traditional account and some basis to carry over to 2015. 4) Contribute and convert in 2015: After the recharacterization is done you might as make your 2015 contribution and convert the whole thing together. You will still have some untidiness when you file your taxes for 2015 next year, but promise yourself to do it clean in 2016! This is fabulous! Just spent over an hour stressing because our “Backdoor Roth” was reflecting in Turbo Tax as a taxable event. Thank you for guiding me the rest of the way through. Thank you so much for the guide. I am going to take a shot at this starting this weekend just as you have directed – slow and one thing at a time! Hopefully this is going to be the first and last tax-mess to deal with, because I do not want to create more issues. I have learned a lot though stumbling through this process in getting started, and words can’t appreciate my gratitude enough for your helping hand. Thank you, thank you!! Harry, Thank you so much for this very handy guide. I’ll be leaving something in your tip jar for the help! Enter or verify the value (ending balance amount) of all of your traditional IRA accounts on December 31, 2014. This information is sent by mail on Form 5498. Include any IRA contributions you made or will make in 2015 for 2014. Include any IRA distributions you made in 2013. The amount you enter must be at least the amount of your distributions. I made a non-deductible Traditional IRA contribution of $5,500 in February 2014 for 2013 and converted it to a Roth IRA before the end of 2014. I will be making a Traditional IRA contribution of $5,500 in March 2015 for 2014 (going forward I will follow your advice to contribute and convert in the same year to make the paperwork easier). Question 1) What is throwing me is the line “Include any IRA contributions you made or will make in 2015 for 2014.” Does this mean that the “Value of your Traditional IRAs on December 31, 2014” should be $5,500 given my March 2015 contribution? Shouldn’t it be $0 since that is what my statement said and, presumably, what my Form 5498 will say? Will answering $5,500 invoke the pro-rata rule somehow? I’ve tried it both ways ($5,500 and $0) and neither seems to affect the tax liability meter but perhaps it is affecting Form 8606 or something else. Question 2) Also, just to get ahead for when I do 2015 taxes, will I have to include on this line the $5,500 converted in 2014 as a distribution, since presumably that line next year will read “Include any IRA distributions you made in 2014. The amount you enter must be at least the amount of your distributions”? Sam – I don’t know what triggered your screen. If you follow the same sequence as I showed here you don’t see that screen at all. The “Tell Us the Value of Your Traditional IRA” screen has three boxes. The first one is from your statement (you won’t get your 5498 until May). The second and third are for outstanding rollovers and outstanding recharacterizations, which typically you don’t have. No recharacterizations or rollovers. No other TIRAs or RIRAs other than described in my initial post. I think I know why TT asked for that screen. I think it was internally computing Worksheet 1-1 of Publication 590-B (Figuring the Taxable Part of Your IRA Distribution) to get Lines 13, 15, 17 and 18 of Form 8606. Tough to tell because TT does not include that Worksheet even in the “All Forms” version of the return but that is my best guess. Line 4 on that Worksheet asks for the value of all TIRAs as of 12/31/2014. Line 5 then asks for total distributions from TIRAs in 2014. Line 4 and 5 are then added together for Line 6. Line 7 asks you to divide Line 3 (which is your TIRA basis as of 12/31/2013 and contributions made *for* 2014). Line 7 is set to a maximum limit of 1.000. I tried it both ways (entering 0 and 5500 on Line 4) and either way ends up with a result of 1.000 in Line 7. From there on, the Worksheet (and the entries on Lines 13, 15, 17, and 18 of Form 8606) are the same regardless of which amount is put on Line 4. Please let me know if you have a different read on it. Thanks again for all of your help! This is an amazing article. Without it, I don’t think I would have ventured to do this using TurboTax. (I remembered it from a prior year and found it before I purchased TurboTax.) I put something in your tip jar and really appreciate that you took the time to create this walk-through. One small note, I do taxes for myself and my husband, and I didn’t notice on the screen where the conversion started that I had to select his name (it defaulted to mine). So I had to go back after entering everything once I saw I had entered it for myself instead of him. Thank you so much! Helped me a lot. Your step by step backdoor door conversion is tremendously helpful. I followed the instruction and ran into a situation need your advice. I claimed 2013 deduction in 2013 return but transaction was done in early April/2014 and made 2014 deduction late April. My 2014 1099-R Gross distribution is $12941.61. Turbo Tax used $6500 as 2013 traditional IRA basis. However, Turbo Tax 2014 Form 8606 line 14 has $59 as 2014 Traditional IRA basis. Is this expected? Should I make some adjustment to have $0 as 2014 basis?? Thanks. Thank you. I was getting the same screens as Sam until I decided to not import the information from my financial institution. I don’t know what it was doing. But i have the same screens as you now. lena – Great, thank you. I was wondering what could be different. I don’t import because I don’t know what comes in the import. Odd. I didn’t import the 1099-R when I initially got the screen. I tried importing and replacing the hand-typed version with the imported version and still got the screen (neither version had the “total distribution” box checked even though it was a total distribution–maybe a Vanguard problem?). Tried again with just the hand-typed version and checked the total distribution box. Screen still popped up. Maybe if I try again with a clean return, it won’t appear? No idea what’s going on here other than maybe for some reason it is using the extra screen to perform Worksheet 1-1 in Publication 590-B. I tried deleting the TIRA contributions and the 1099-R and then followed your screens described above (entering contributions and then entering the 1099-R). If the 2014 TIRA contribution is entered before the 1099-R is entered, I get your screens exactly. 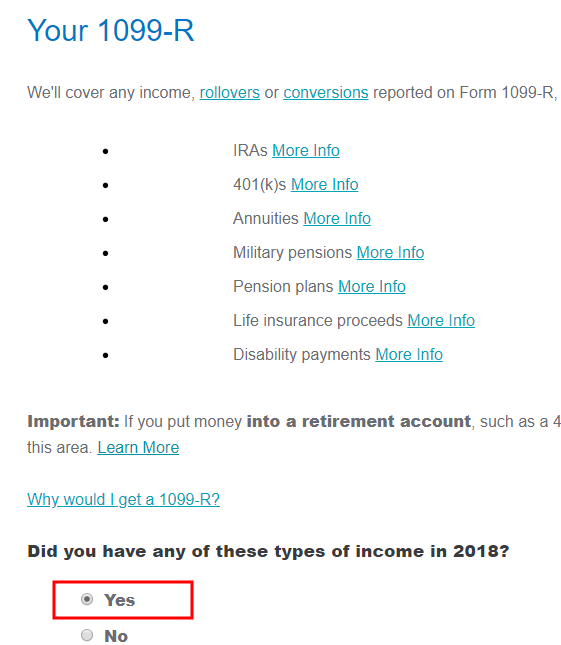 After the 1099-R is entered, the screen appears in the 2014 contributions (deductions and credits) interview if you go back through it, with a pre-filled $0 balance for 12/31/2014 TIRA balance. Not sure why the 1099-R triggers that screen in a separate area with a pre-filled balance. No notification/problems appeared on the error check. Hi Harry: Can you please tell me for # 2 where should I be coming across the box to check for Roth and then say I changed my mind. In following the first half of the article I come across the question asking ‘did you change your mind’ but this is with regards to recharacterization of traditional IRA to Roth contribution, whereas I had to recharacterize my Roth to traditional IRA. Please clarify. Minta – Right after the topic search, above where I said “Check the box for Traditional IRA” you would check the box for Roth IRA instead, because you originally contributed to Roth. Then a few screens down you will see the question “Did you change your mind?” to which you would answer yes. Oh Harry – I figured it out. You meant from the beginning to select for Roth box. In doing so, I did come across the prompt asking about recharacterization, which said yes to. 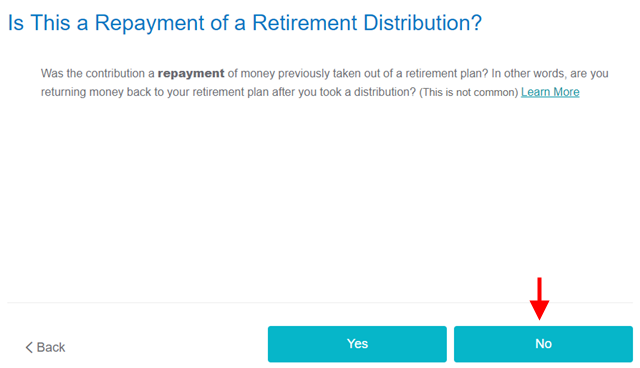 I filled out the information asking on Roth IRA explanation statement, however I am not quite sure what to do next because the prompt asks if I want to make the contribution nondeductible. The options are ‘yes, make part of my IRA contribution non-deductible’ and ‘no, i’ll keep my deduction (recommended)’. Please help me follow this through. Furthermore, it asks ‘did you open any Roth IRAs in 2013 or previous year’. I did Roth conversion in 2014 for 2013 – so does that mean yes I did, or no coz it was done technically in 2014? Minta – Unless you are not covered by a retirement plan at work, and if you are married, your spouse is also not covered by a retirement plan at work, when you are ineligible to contribute to a Roth IRA, you are also not eligible to take a deduction for a traditional IRA contribution. Check to see whether you entered your W-2 wrong which made TurboTax think you are eligible for a deduction. If you are indeed eligible for a deduction, then it’s up to you whether you want to take it or not. I don’t know the answer to your other question. Please contact TurboTax support. Is this right or I’m missing something somewhere since part 2 is blank? Pls advice if I need to amend it. Thanks. Sorry I don’t know how TurboTax produces the form. I only have a test account at TurboTax online. I don’t get to see the form. Maybe it’s just the way TurboTax does it. I see others reported the same thing on the TurboTax support forum, but people there mentioned numbers on lines 16-18. Be sure to expand and read the comments under the answers. Thanks Mr. Sit for replying. I’ll try to contact Turbo Tax after work today and see what they say about it.